No doubt, blogging is one of the ‘so hot right now’ travel jobs. 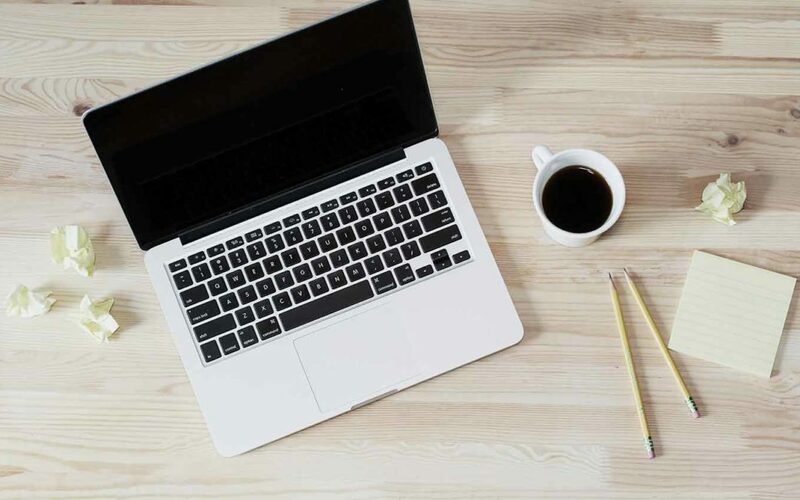 From travel to fashion, knitting to pilates, stamp collecting to cryptocurrency – there are blogs about (almost) every topic you can think of. And, many of them are making a fantastic income from it! Blogging is fun, it’s also hard work but the best part is, it’s an achievable “dream job” for almost anyone. Radhika & I started Fulltime Nomad way back in 2013, when we first started out on our digital nomad adventures. It has evolved from a personal journal to a travel blog to its current form – a resource for aspiring digital nomads. Today, in addition to our freelancing business, our blog generates an income for us that allows us to live this incredible life of travel and freedom. 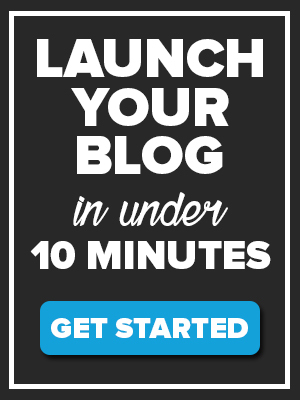 So now we want to show YOU how to start your own blog. Not just a personal blog that you treat like your online diary. Those are great but if we’re being honest, they’re not going to make you much money. 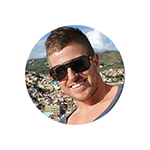 We want to show you how to start and set up a blog that will help you earn money, pay for your travels, work from anywhere in the world and allow you to live life on your terms. If you haven’t already realised, this post is LONG (but in a super useful kind of way!). Here’s a quick summary of what you can expect to learn from it. 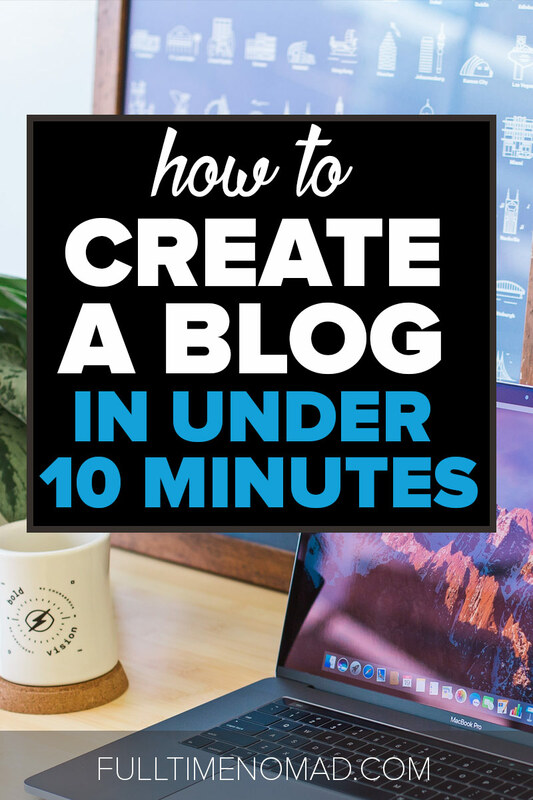 I’m going to show you how to create a blog (any type of blog) from scratch. By the time you finish reading this post, I want you to have a complete understanding of how EASY it is to get started. Even for non-techie folks. Now of course you can set up a blog for free if you like, but remember: your purpose is to create a blog that will generate an income for you. So, you want it to look pro. My purpose for this post is to show you how inexpensive it can be to set up a professional blog – right from the get go. It can cost you as little as $2.95 a month! That’s why we recommend BlueHost by the way – it’s where we started and it’s without a doubt, the most affordable hosting provider out there for beginners. Once you have your domain and hosting set up, I’ll take you through the process of installing WordPress (the most popular blogging platform there is) and I’ll also discuss WordPress themes and how to add one to your blog. Basically, at the end of this post, you’re going to be ready to take on the blogging world. So to get started with setting your blog, head to the Bluehost sign up page with a special 56% Fulltime Nomad discount. Here you want to click on the green button to get started. 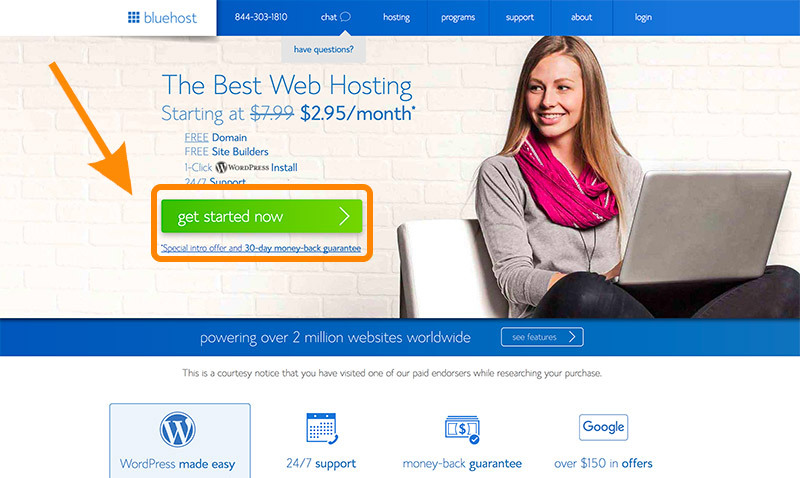 Think of hosting like renting your very own space on the web. It’s where you are going to securely store all you data and files. To create a successful blog, you need to have hosting. For hosting, we recommend Bluehost. With our special discount plans start at $2.95 per month. Here you want to select the cheapest ‘Basic’ option. To start with this option will be more than enough for your needs. Now once you select the basic option it’s time to choose your domain. 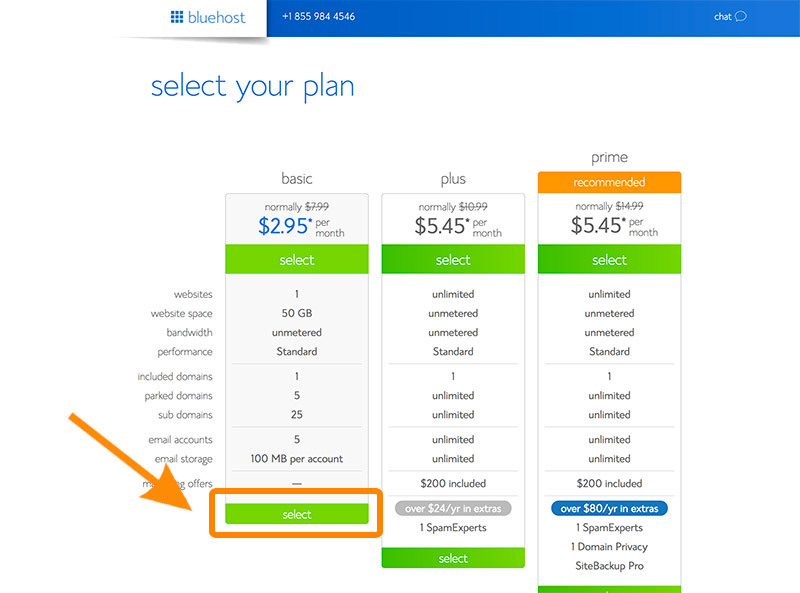 The great thing about Bluehost is that you get a free domain with your hosting, so you won’t be charged any extra for this. Next it’s time to choose your blog’s domain name. Don’t have a name for your blog yet? Don’t worry! 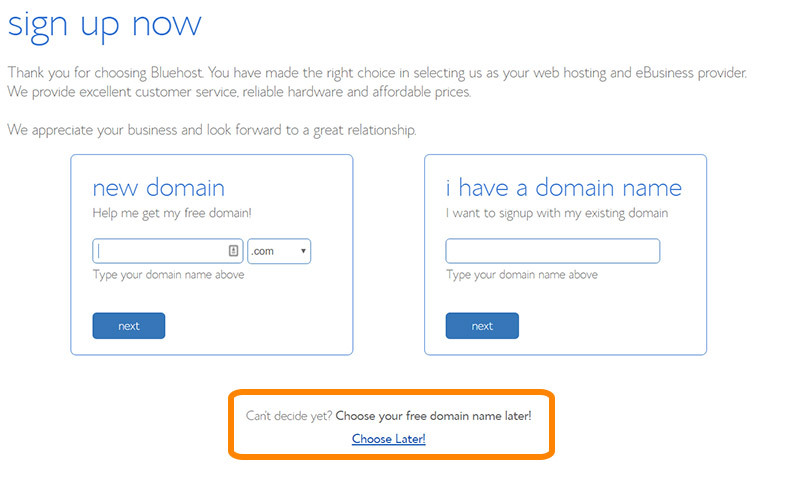 If you can’t think of a domain name yet, simply Click “Choose Later”. This will allow to continue with the sign-up process and will allow you to chose a domain name later when you have decided on one. If you already have a domain name, great! Type in your domain name, select .com and click next. 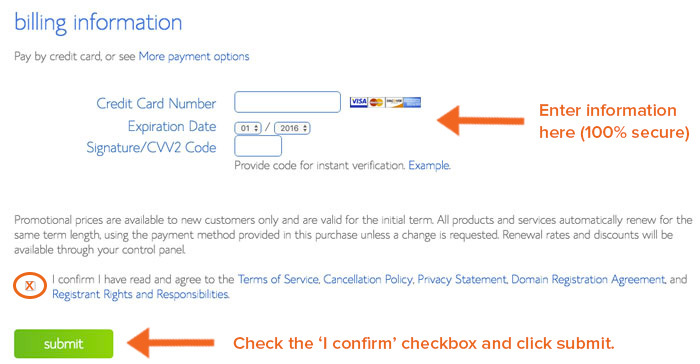 After you have clicked next, you will taken to the payment page. Here they will ask for some basic information. Fill out the information and be sure to include your email address. In the next section you will need to confirm your package. 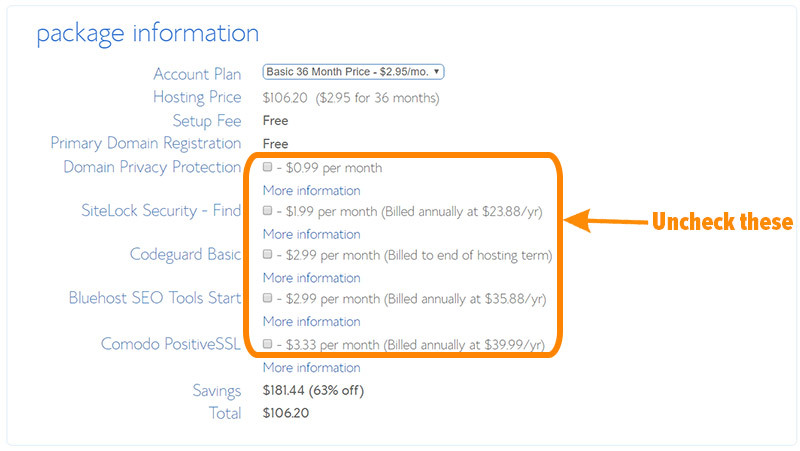 The cheapest option is the 36 month package. If you want to start with just 12 months, the total price will be less, however the monthly price is going to be more expensive. 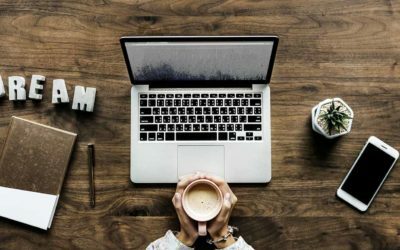 If you see yourself blogging for more than 12 months (which we’re sure you will) then we recommend the 36 month option. At this stage you don’t need privacy protection or any of the other options, so make sure these are unchecked. 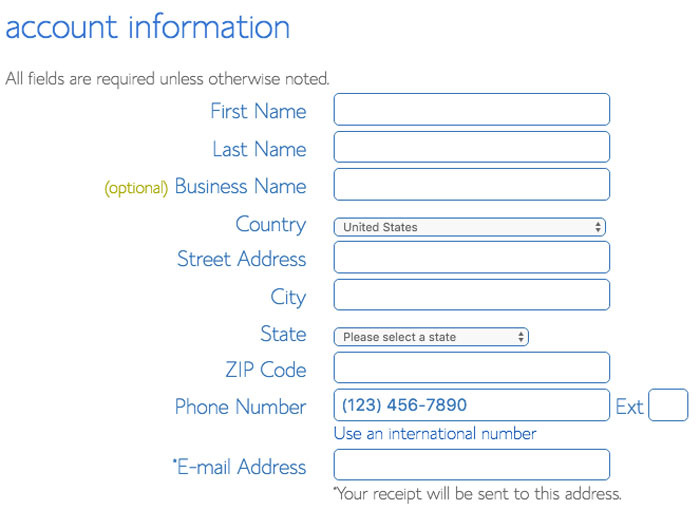 Ok so next you will need to enter your billing information. Check the ‘I confirm’ checkbox and click submit. 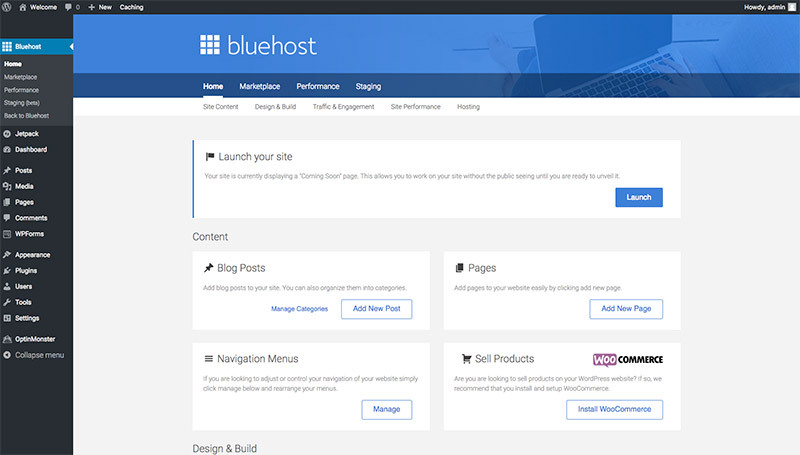 After the payment has gone through, you will receive an email with your Bluehost login details. The next thing you need to do is setup WordPress on your website. WordPress.org (not to be mistaken with WordPress.com) is a free-open source platform where you can build, design, and manage everything related to your website. It’s by far the most popular platform used by bloggers as is so easy to use. It’s also very flexible in that you have full control over the look and feel of your site. 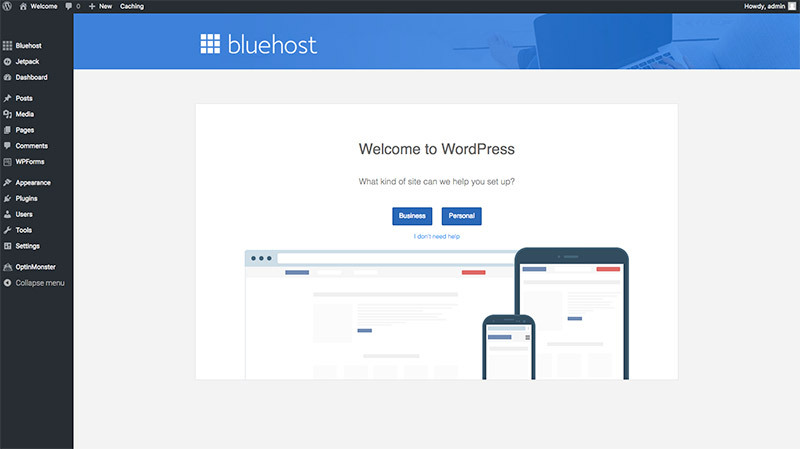 Bluehost just recently made it a whole lot easier for you to get WordPress on your new blog. Yay! So easy, that the whole installation process is automatically done. Next you will need to create your password. For now you can just choose any theme. This can be changed. We will talk more about themes and customizing your blog in a bit. 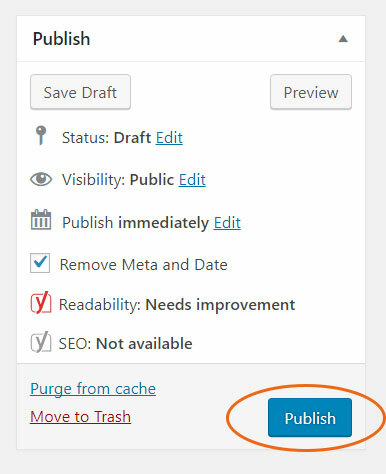 After you have selected your theme you will be taken to the WordPress dashboard. Here you want to go ahead and select “Business”. This is where all the fun stuff happens, like designing your site, uploading images, publishing posts. Pretty exciting right? But before we do all this we want to add a new theme to your blog. It’s time to make your site look the part by adding a WordPress theme to your website. A WordPress theme changes the design and functionality of your website. When you change or update your theme, your website is going to look different when a visitor views it on the web. A theme allows you to customise the look and feel of your website to your liking. There are 1000s of free WordPress themes available. You can browse themes by going to “Appearance” and then “Themes”. Then click on the WordPress.org themes. Here you will be able to browse all the free WordPress.org themes. You can click “Preview” to what the theme actually looks like before putting it live on your website. Once you have found a theme that you like click the “Install” button. What theme do we use on Fulltime Nomad? We actually use a theme called Divi which is part of the Elegant Themes set. This is a paid/premium theme. 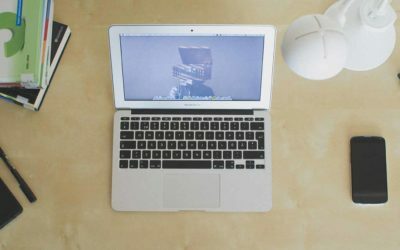 A free theme is great when starting out, however if you are looking to take blogging seriously and make income from it, inevitably you are going to use a premium theme. This is because premium themes will usually have more capabilities and generally give you a more professional looking site. 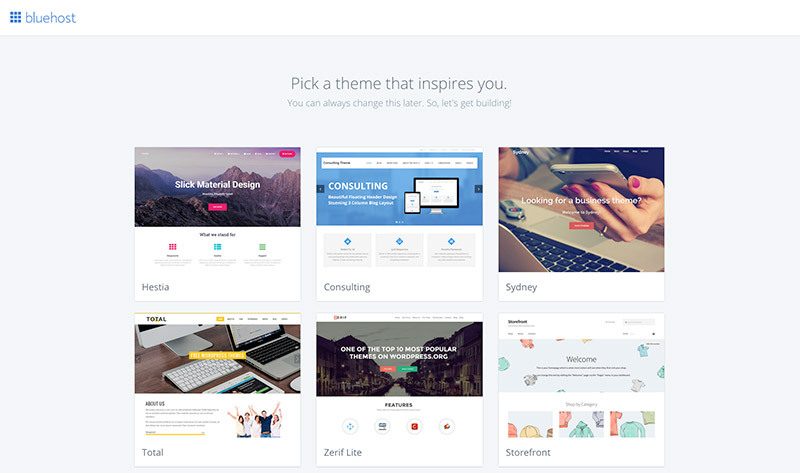 If you are looking for a premium themes these are some that we recommend. 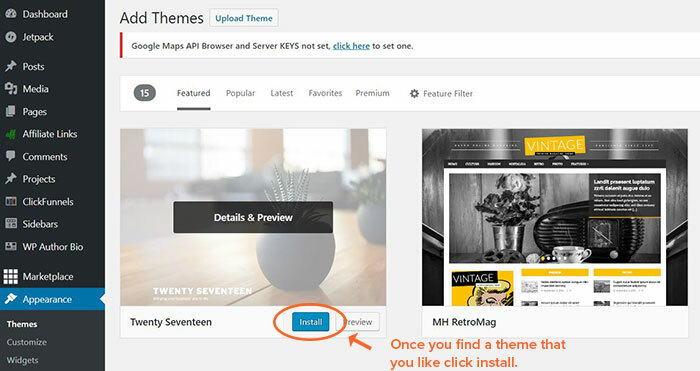 Elegant Themes – When you purchase the Elegant themes you gets to over 80 of their themes. We use the Divi theme and honestly think it’s one of the best themes out there. Genesis Studio Press – Genesis is one of the most popular WordPress themes. It looks nice, has great support and a big community behind it. We have used Genesis on some of our clients sites. If you decide to go with a premium theme, the installation process is very simple. After downloading you theme go to “Appearance” and then “Themes” and then click “Upload”. 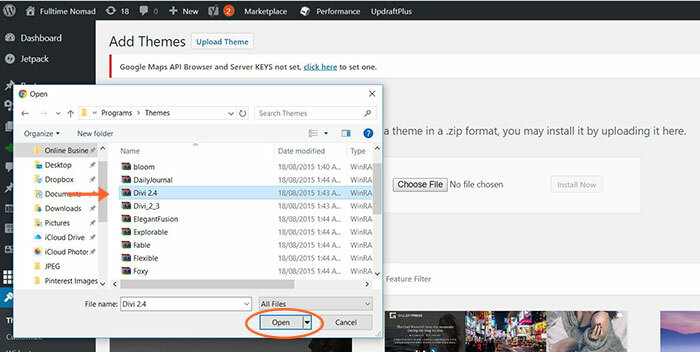 Select your theme and click “Upload”. To put you theme live on your new website click “Activate”. Congratulations!! You now have your very own blog. What are you waiting for? Go check it out. Enter your new domain (www.yourblogname.com) into a browser and voila! Ok so now that you have your website ready, it’s time to write your first post. There’s lots to think about when you start blogging, so lets keep it very simple. To write a post, go to “Posts” then “Add New”. Here you will arrive at the visual editor section. Enter a title and begin writing your post. Add images to make the post more visual and engaging. Once you are happy with your post hit “Publish”. Now to view your new post simply click on the permalink. There you have it! It’s that simple. See how easy it is to create your very own blog and published your first article on the web! You don’t need any special skills. You just need commitment and drive (and of course, a topic to blog about). If you follow my steps above, you’ll be ready to blog like a pro in no time and with very little financial investment. As I mentioned at the start, blogging can be hard work but it’s also really fun. And, after all the hard work when the money starts to come in – it becomes very much worth it. It can take a bit of time to start making money from your blog, so don’t get disheartened if the dollars aren’t coming in right away. Just remember, you’re in it for the long term and stay committed. Blogging is a very REAL option for making money online and to help realise your dreams of working from anywhere. So if you’ve ever wanted to start a blog, all I have left to say is – stop dreaming and just do it! If you need any help with the process, let us know. We would be more than happy to help. You can leave us a comment below, or send us a private message via Facebook. Good question. Yes you can set up an ecommerce store on the same domain name as your blog. One way of doing this would be by using a plugin such as Woocommerce. It makes it very easy to setup and integrate ecommerce into your blog. Another way to do this is to create a subdomain attached to your main domain. For example shop.yourblogname.com. This can easily be done in Bluehost. This article explains how to set up a subdomain – https://my.bluehost.com/hosting/help/274. How do you design the placement of text and images on your blog? Is it automatically done by the theme? And do you need anything changed for mobile views too? When you write a blog post you have full control over the placement of text and images. This is done within the WordPress visual editor. The editor is simple to use and very intuitive. As for mobile views, most themes are responsive in that they will automatically adjust the design for mobile, so you don’t need to do anything in that regard. Once I’ve set up a blog & created some posts, how do I promote it & keep increasing traffic? Do you guys have any articles about this?